Our 2017 catalogue is a finalist in the Australasian Catalogue Awards! 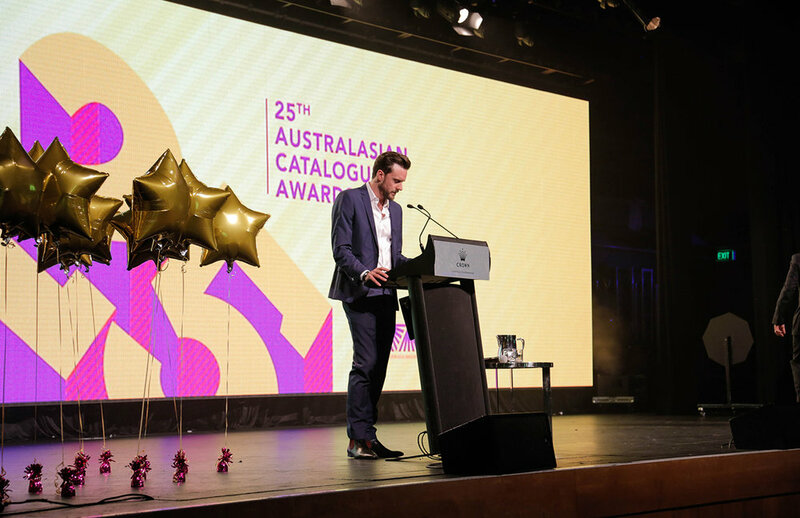 We are very excited to share that our 2017 catalogue has been selected as a finalist in the Australasian Catalogue Awards in two categories: Office Supplies and Megalogues! We feel honoured to have our work recognised by experts in the industry and can't wait to find out the the names of the winners on the Awards night on the 25th of August. If you haven't seen our catalogue yet, you can view it online or request a copy to be mailed to you here. The wait is over! Our 2017 Catalogue is out and we cannot wait for your to see it. After producing an Award winning catalogue last year, the pressure was on to outshine our 2016 edition. Our 2017 catalogue and 28th edition hosts a range of new and exciting products. From our complete range of executive desks and tables Oslo, to our statement rocking chair Jena, or sleek and elegant Sana leather lounge and many others, there is a piece to compliment every workspace. Designed around today's office reality, our new and improved range of office furniture answers the dilemmas of the open office, the need to integrate technologies and the conscious effort to be healthy and active at work. Whether you're looking to furnish a home office or a multi-level corporate space, we have the solution. To order your copy of our new 2017 Catalogue or to view it online, click here. Winner Of The 2016 Australasian Catalogue Awards! This week has been a busy one at Krost! 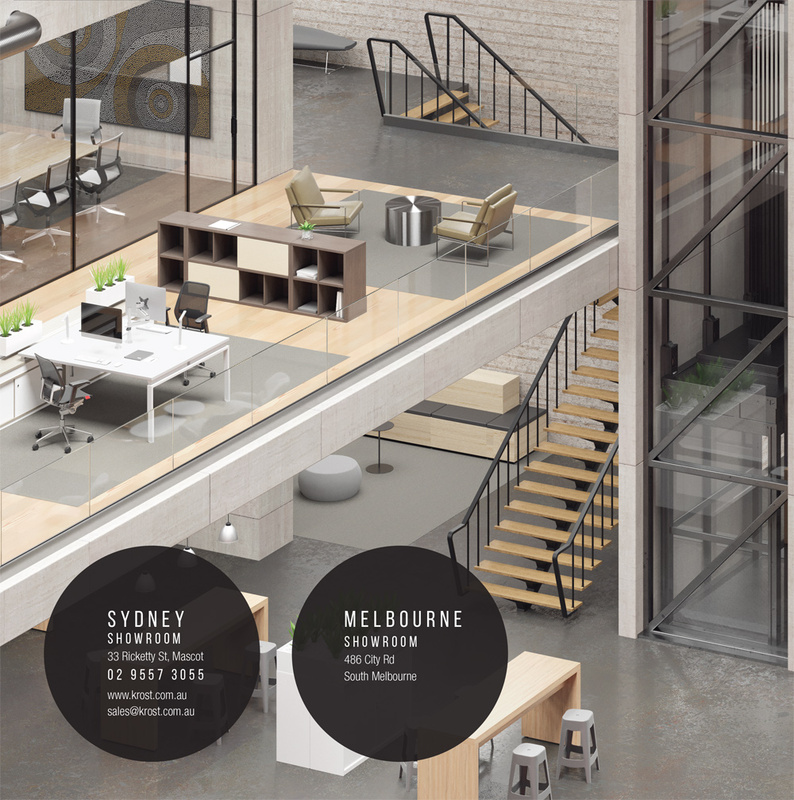 Not only have we moved our entire showroom and offices to a new location, we are also very proud to announce that we are the winner of the B2C Office Supplies category in the 2016 Australasian Catalogue Awards! 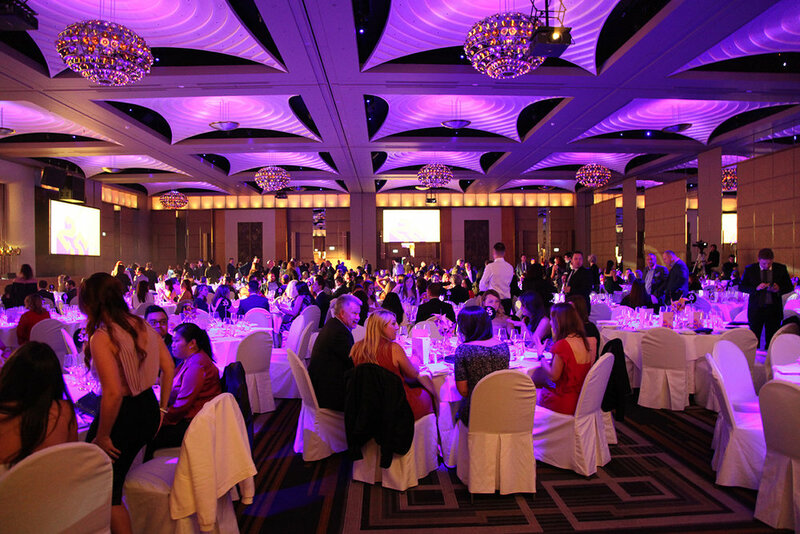 Finalists for 3 years in a row, it was with much excitement and anticipation that we attended the Awards Night in Melbourne last Friday. Up against some tough competition, our 2016 catalogue was judged the best for its role, audience, target objectives, layout, design & art direction, and innovation & effectiveness. Produced for the last 26 years, our catalogue has evolved over time, constantly adapting to the industry and its audience but the passion, pride and hard work invested by the team have never changed. 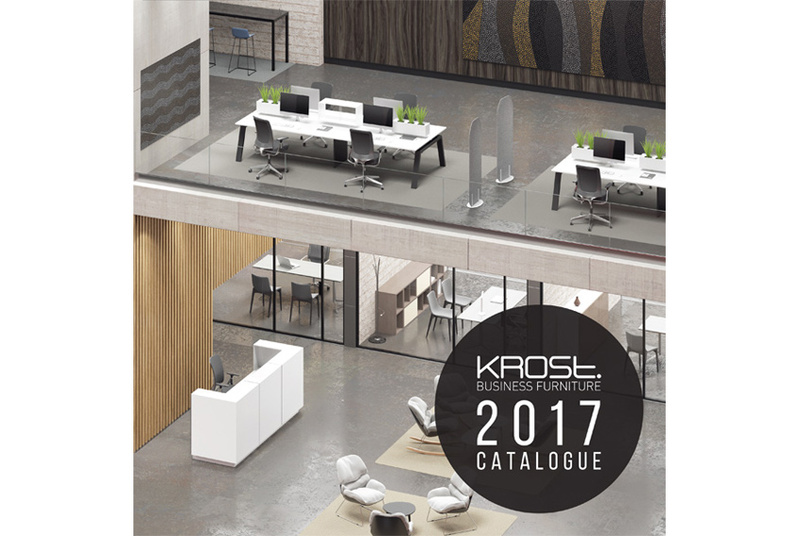 Congratulations to the entire team at Krost and all involved in the catalogue process for such a major achievement and to all the winners in all categories. We hope you enjoy browsing through our pages year after year. The work has already started on the 2017 catalogue, and we can’t wait to show it to you. To order your hard copy of the catalogue please click here, or simply view it online. You can also view pics of the night and a full list of winners and finalists on the Catalogue Awards website. 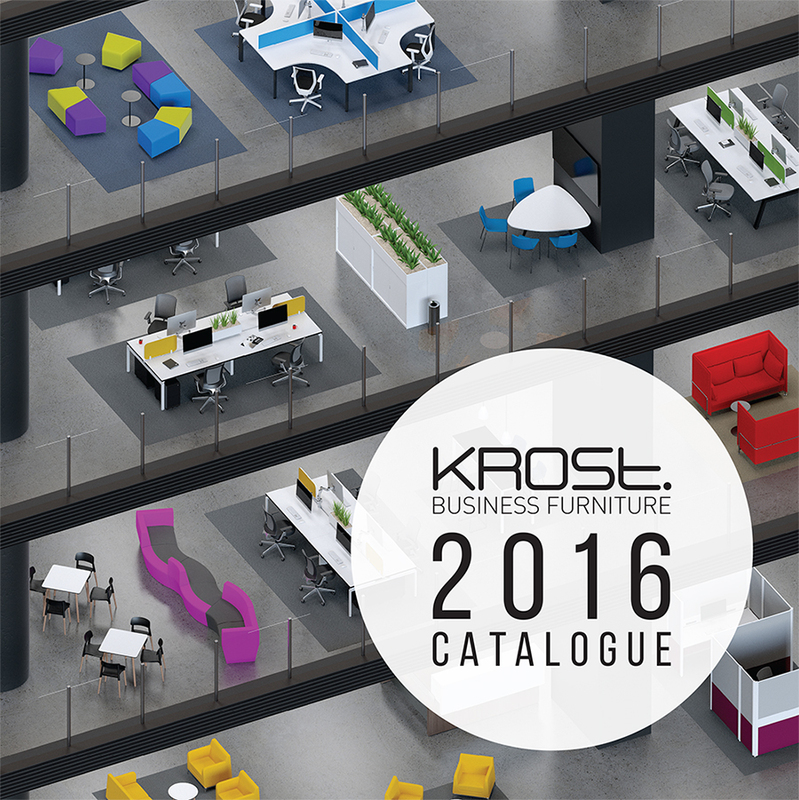 Krost Is A Finalist In The 2016 Australasian Catalogue Awards! 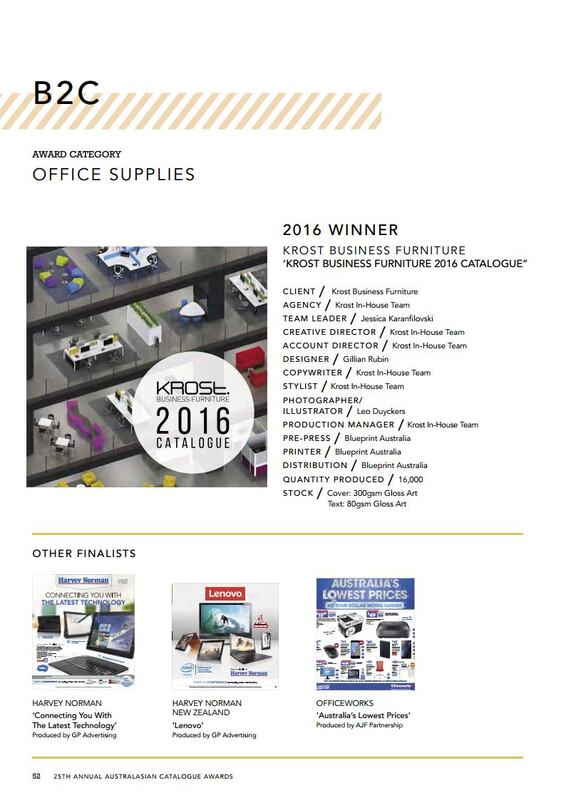 We are very proud to announce that our 2016 catalogue has been selected as a finalist in the Australasian Catalogue Awards in two categories: Office Supplies and Best In Class! We feel honoured to have our work recognised by experts in the industry and are looking forward to the winners announcement on the 2nd of September! If you haven't seen our catalogue yet, you can view it online or request a copy to be mailed to you by sending us your details here.